NATIONAL First Division (NFD) clubs are in the market for new talent and have chucked out excess baggage to make room for fresh faces as the 2017-18 season approaches. While AmaZulu have been in the news regarding the possibility of acquiring Thanda Royal Zulu’s Premier Soccer League (PSL) status, other NFD clubs have been making their moves more quietly. FC Cape Town confirmed at the weekend that they have sold their NFD franchise to Ubuntu Cape Town FC – pending approval by the National Soccer League. Still in Cape Town, Stellenbosch FC, who failed to live up to expectations in the 2016-17 promotion/relegation play-offs, recently parted ways with coach Sammy Troughton, who has since joined Free State Stars. Stellies’ stand-in coach Steve Barker said they would start pre-season in two weeks’ time, as they were still recovering from the play-offs. Clubs have started strengthening their squads as they all have an eye on gaining promotion to the PSL at the end of the season. AmaZulu extended the contracts of veteran strikers Siyabonga Nomvethe and Mabhuti Khenyeza. They released Stevey Nzambe, Luyanda Hlongwa and Roggert Nyundu. Usuthu have added four players, Skhumbuzo Mazibuko, Somila Nsundwayo, Phillip Ndlondlo and Siyethemba Mnguni, so far. Cape Town All Stars, who had a rough season with their chopping and changing of coaches, confirmed the signing of former Bafana Bafana and Mamelodi Sundowns left-back David Kannemeyer as their new coach. Kannemeyer replaces Patrick Mabedi, who has joined Kaizer Chiefs as assistant to coach Steve Komphela. Mbombela United have released seven players – Vuyisile Ntombayithe­thi, Clifford Mulenga, Malcom Jacobs, Thapelo Mathibe, Jarmine Cristian, Zolani Mkhombela and Mnguni who joined AmaZulu. The Mpumalanga club is, however, interested in retaining the services of goalkeeper Thuto Xaba, who was loaned to Royal Eagles last season. Former PSL side Jomo Cosmos have extended the contract of their captain Frederic Nsabiyumva and added Lindokuhle Mtshali, Sicelo Mkhize from Real Kings, Mulenga from Mbombela, as well as Makgatho Dawny from relegated Magesi FC to their squad. 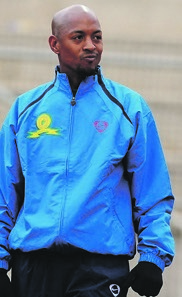 Limpopo team Black Leopards are still in a bitter contractual fight with coach Jean-Francois Losciuto as they open talks with Abel Makhubele with the view of appointing him as Losciuto’s assistant coach.